Note this blog Originally posted by Stanislav, the author. While the processes that cause earthquakes are the stuff of intense research, West said there are three obvious reasons the network of more than 400 stations across Alaska detected more in 2014 than ever before. First, West said, the “health” of the seismic network is better than ever. The seismometers themselves are greater in number, and the center has been able to maintain them well, even at remote sites off the road system, West said. The part of the network on the road system can detect earthquakes as weak as magnitude 1, whereas the quakes in outlying areas, such as the Aleutian Islands, have to be magnitude 2 or 3 to register, he said. Second, there are technological advances in the instruments and the software that feeds data to researchers and the public, West said. So the center’s ability to detect earthquakes has improved, it has had enough staff to monitor all of the equipment and the computers are more efficient, he said. “Then the third one, which is actually of interest, is the Earth itself,” West said. “Even when you strip away those other two, there really have been a disproportionate number of earthquakes in Alaska in the past year." If you think that the earthquakes increase in Oklahoma is a unique phenomenon, think again! ZetaTalk Chat Q&A for June 2, 2012: Italy will not find peace during the 7 of 10 plate movements, nor afterwards, because the rock finger that lies under the Adriatic Sea will move during the Earth wobble on a daily basis. The land on either side of the Adriatic Sea will be alternately compressed and then pulled apart, a continuous hell for those living on these lands. Since 2005, they have changed the type of magnitude. This somewhat confuses the situation. Some earthquakes are recorded in the old magnitude. But there is no doubt that seismic activity is stronger than ever (of sesmic network observations) in Italy now. 30 October, 2016. "A powerful earthquake with a preliminary magnitude of 6.6 has rocked the same area of central and southern Italy hit by quake in August and a pair of aftershocks last week, sending already quake-damaged buildings crumbling after a week of temblors that have left thousands homeless. The earthquake Sunday is believed to be the strongest quake to strike the country since 1980. A 6.9-magnitude quake in southern Campania that year killed some 3,000 people and caused extensive damage." The rapid succession of four bursts of seismic activity in three hours, all of which with a magnitude higher than 5 was described as "a novel phenomenon in recent history" by seismologists from the National Institute of Geophysics and Volcanology of Italy. Earthquakes increase in North America continent? I made this map using QGIS. 5 May, 2016. California's San Andreas fault has been quiet for far too long and is overdue for a major earthquake, a leading geoscientist has announced. In a conference this week, the state was warned to prepare for a potential earthquake as strong as magnitude 8.0. "The springs on the San Andreas system have been wound very, very tight. And the southern San Andreas fault, in particular, looks like it’s locked, loaded and ready to go," said Thomas Jordan, director of the Southern California Earthquake Centre. All of this means that there's a lot of tension underneath California right now. Machine translate. 23 November, 2016. "At least since 2012 has increased seismic activity in areas where there was previously no record of earthquakes or where they are rare according to the National Seismological Service. In Mexico seismic activity has increased in areas where there is typically no record of earthquakes or where they are infrequent. In the last five years, the number and intensity of earthquakes in areas of the country where gas and oil have been extracted by hydraulic fracturing have increased, according to an investigation by CartoCritica, a citizen initiative that promotes transparency for the defense of the territory. While the research was unable to conclude that earthquakes are directly related to the application of the technique, scientists in the United States corroborated that Fracking produces low-risk earthquakes - less than 2 degrees - and that the process of depositing wastewater into wells Of injection, associated with this technique produce earthquakes of greater magnitude. Scientists from the United States Geological Survey found that at least 16 earthquakes in New Mexico and Colorado are related to the injection of large amounts of wastewater into the subsoil. In the case of Mexico seismic activity has increased in areas classified by the National Seismological Service as type A, where there is typically no record of earthquakes and type B, where they are rare." Machine translate. It is important to emphasize that many of the stations that in the database have an accelerogram currently registered are already out of operation in definitive. 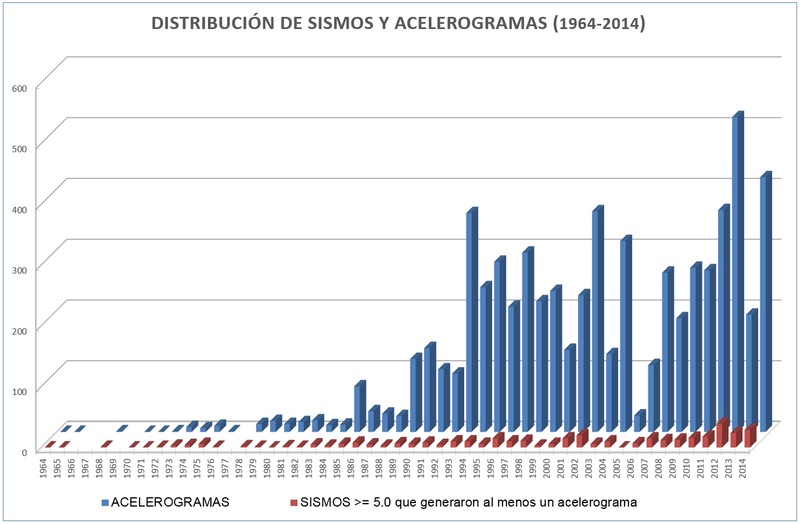 The growth of the accelerographic network coupled with the advance of the technology of the recorders has resulted in the fact that the number of recorded tremors has also increased, making the collection of seismic records increase year by year as can be seen in the following figures. Accelerogram. The recording of the acceleration of the ground during an earthquake. Accelerograph. 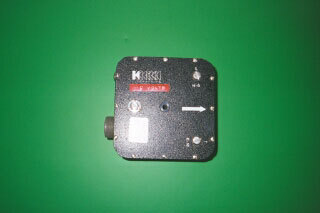 An instrument that records the acceleration of the earth during an earthquake, also commonly called an accelerometer. Accelerograph. An accelerograph can be referred to as a strong motion seismograph, or simply an earthquake accelerometer. They are usually constructed as a self-contained box, more commonly now being connected directly to the Internet. 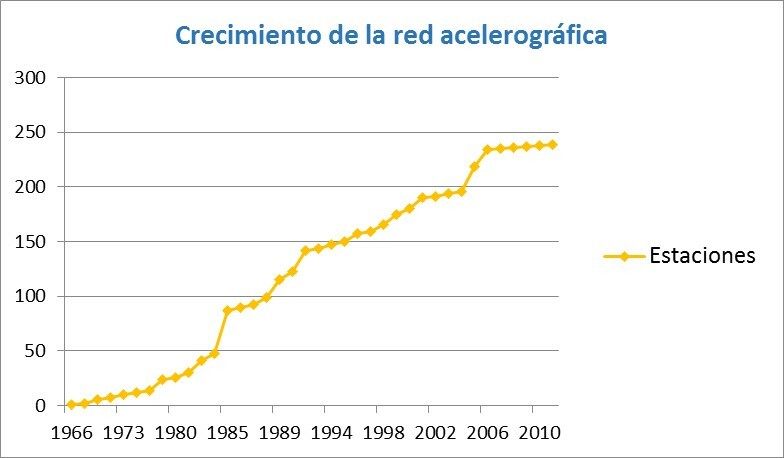 From the lower graph it can not be concluded that it's the increase in stations that causes the growth of records (acceleograms) and accordingly earthquakes and not vice versa! 12 January, 2015. "The Alaska Earthquake Information Center’s network of seismometers picked up 40,686 quakes last year in the state and bordering parts of Canada. That is significantly more than the previous high of nearly 32,000 in 2003. In 2013, there were only about 28,000 such events, the center reported. “Then the third one, which is actually of interest, is the Earth itself,” West said. “Even when you strip away those other two, there really have been a disproportionate number of earthquakes in Alaska in the past year.”"
12 September, 2016. "A 5.8-magnitutde earthquake, the most powerful seismic activity here since 1978 when the nation started measuring tremors, struck the historic city of Gyeongju, North Gyeongsang Province, at 8:32 p.m., the Korea Meteorological Administration (KMA) said Monday. It occurred about 50 minutes after a 5.1-magnitude quake hit the city at 7:44 p.m."
Kim Da-sol. 6 July, 2016. 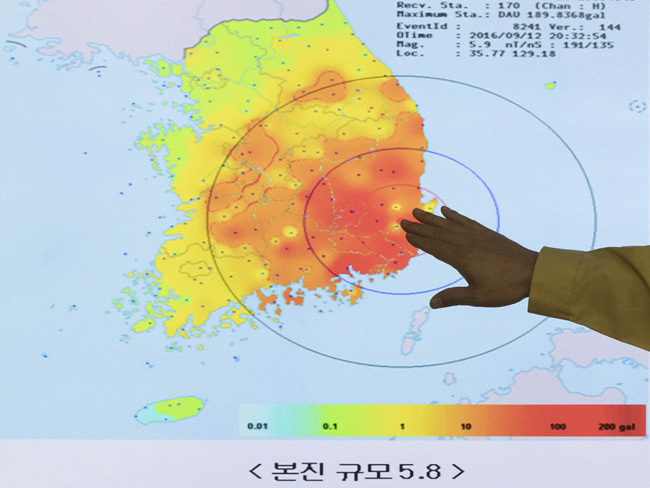 "Following a magnitude-5.0 earthquake detected near waters off the southeastern city of Ulsan on Tuesday evening, experts voiced concerns that the Korean Peninsula is no longer safe from strong shock waves, calling for prompt disaster preventive measures. The number of open stations correlates with the earthquake chart at the top. But if we look at the months the situation is not so simple. The epic increase in earthquakes in 2011, most likely due Van earthquake and Kutahya earthquake combined with increase in sesmic stations. In 2004 and 2001 the stations were updated and since then nothing has changed. The explosion of activity in 2008 was caused by the Sichuan earthquake. But even without it, the data show growth. 2016 is now officially sealed in the record books and...there is a lot to cover! This is going to a be a particularly long post. There was too much going on in 2016, so let me sum up: we had geysers, eruptions, landslides, tsunami and a whole lotta earthquakes. The ground broke under our feet, and that is why we are calling this year the “groundbreaker”. It should also be known as the "record breaker". 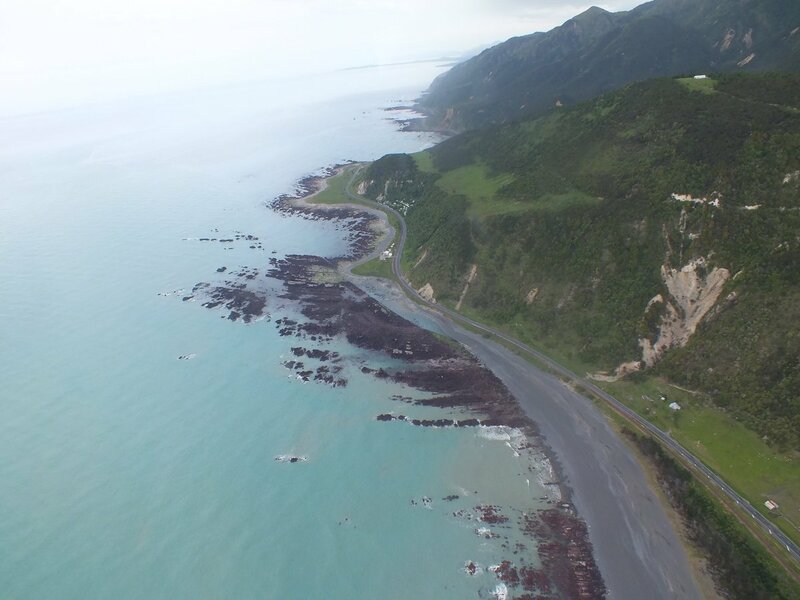 This year had many earthquakes, but we are going to focus on the main two magnitude 7.0+ quakes that affected numerous communities: shaking our capital, Wellington, our weary quake-familiar Christchurch. Even our biggest city, Auckland, felt the sway of the East Cape earthquake. You’d be hard pressed to find someone who wasn’t impacted, in some way, by earthquakes in New Zealand this year. By the numbers, our monitoring network recorded 32,828 earthquakes this year. To give a point of reference, on average we record about 20,000 per year. Our other active year reached 29,000 in 2011. 2016 wins the dubious honour of most earthquakes ever recorded on the GeoNet network (we’ve been around for 15 years). This year we had 122 earthquakes between magnitude 5.0 and 6.0,10 magnitude 6.0-6.9s, and, two magnitude 7.0 plus earthquakes. It’s been a geologically busy year. So let’s get into the earthquakes and their aftershock sequences that were the main contributors. 5 May, 2014. "A 6.1 magnitude quake struck Chiang Rai province at 6.08 p.m. Monday night, causing extensive damage to properties in the northern provinces. Group Captain Somsak Khaosuwan, the director of the National Disaster Warning Center (NDWC), stated that Monday’s earth quake was the largest ever recorded in Thailand." This non-commercial network has only two seismic stations. 18 August, 2016. "Geoscience Australia said the magnitude-5.8 earthquake struck off the coast of Bowen about 2:30pm. It is the strongest recorded since a magnitude-6.0 quake struck east of Gladstone in 1918. Senior seismologist Jonathan Bathgate said the quake posed no tsunami threat, but a large portion of the Queensland coast felt some shaking. "We know it's been felt all the way from the Sunshine Coast up to north of Townsville," he said." Deep earthquakes increase in Russia? 2013 was a record number of earthquakes in Russia. Most likely due record-deep earthquake in the Sea of Okhotsk. This earthquake was felt all over Russia! 19 September, 2013. It's confirmed: The largest deep earthquake ever recorded happened in May off the coast of Russia. But this massive temblor is still a mystery to scientists. 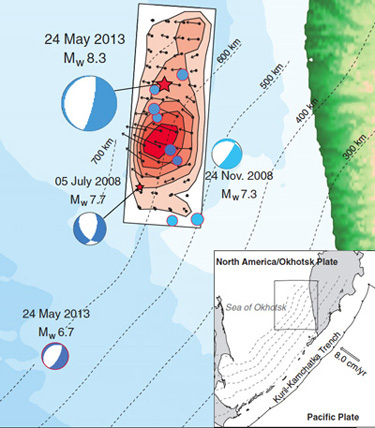 The magnitude-8.3 earthquake occurred on May 24, 2013, in the Sea of Okhotsk, deep within the Earth's mantle. The earthquake, described today (Sept. 19) in the journal Science, is perplexing because seismologists don't understand how massive earthquakes can happen at such depths. "It's the biggest event we've ever seen," said study co-author Thorne Lay, a seismologist at the University of California, Santa Cruz. "It looks so similar to shallow events, even though it's got 600 kilometers of rock on top of it. It's hard to understand how such an earthquake occurs at all under such huge pressure." Intermediate earthquakes increase in Portugal? Increasing seismic stations explain increase in earthquakes numbers? Data on earthquakes we will take from this site iside.rm.ingv.it and data on seismic stations from here cnt.rm.ingv.it. In fact, these sites are identical, they just moved to a new address. The number of earthquakes almost coincide, just on this site cnt.rm.ingv.it earthquake data only since 2005 and on this site iside.rm.ingv.it not all seismic stations. Starting from 1 March 2017, ISIDe will be replaced by a new data portal. To find out what changes in the new site click on this link . 1) We can see that in 2016 many seismic stations (most likely due to a large earthquake in central Italy) were opened and immediately closed. EMERSITO Seismic Network, 2016 Central Italy and Seismic Microzonation Network, 2016 Central Italy. Thus, it contributed to the number of small earthquakes. Nevertheless, we see that many stations were opened in 2003 and it was not immediately closed. And we do not see the increase in earthquakes in 2003. And almost all these stations were on the territory of Italy. Italian Seismic Network Although there are certainly many factors, it's all the data that there are and from them we can conclude that the increase numbers of seismic stations does not greatly affect the number of earthquakes. But the correlation exists. 2) But large earthquakes are more serious evidence. The increase in seismic stations (and the method of registering) increases the ability to record small earthquakes! New sesmic zones in recent years? Everyone already knows about the abnormal zone in the Central US where earthquakes increase. New seismic zones are formed, on which seemingly earthquakes are impossible. 25 September, 2016. "Zimbabwe has long been considered a haven from earthquakes because the central region of the country is regarded as stable. But Thursday's tremors that shook Chipinge, south east of Zimbabwe, after an earthquake measuring 5,6 on the Richter scale hit Mozambique - combined with recent seismic activity in Kariba, Binga and Karoi - have raised concerns of a greater threat. Seismic analysts say the filling of the world's largest artificial lake at Kariba has been followed by considerable earthquake activity and it is clear that the lake has re-activated some of the existing faults. Zimbabwe has also recorded a number of mining induced earthquakes in Matabeleland South, especially in Gwanda." 27 December, 2004. "People should be aware that Sri Lanka is no longer safe from earthquakes due to a new plate boundary phenomenon which is being formed in the south of Sri Lanka, Senior Geologist of Peradeniya University and former Director of the Institute of Fundamental Studies Prof. C.B. Dissanayake told the Daily News yesterday. He said there are 12 plate boundaries on Earth which move around. Sri Lanka is located inside the Indo-Australian plate. Therefore we think that Sri Lanka does not get earth quakes. However geologists have pointed out that a new plate is forming south of Sri Lanka. As a result the Indo-Sri Lanka plate is breaking up right near the south of Sri Lanka. Therefore this kind of geological change may cause earthquakes. "Sri Lanka is no longer safe from earthquakes. A recent research conducted by James Cochran, a scientist of Doherty Laboratory in the USA has also predicted this new plate forming phenomenon developing in South of Sri Lanka," he said. 4 January, 2017 "Nigerian seismologists are all agreed that Nigeria is no longer an earthquake-free zone (aseismic) as previously believed following the series of earth tremors in different parts of the country in recent times. This development requires that measures be put in place to mitigate the devastating effects when a major earthquake occurs in Nigeria. In this report, Vanguard Features presents the solutions as proffered by experts. You may not have come to terms with its threatening reality. But some experts are convinced that there is a real possibility of an earthquake occurring somewhere within our shores. It all began with Mr. Umar Afegbua of the Centre for Geodesy and Geodynamics, National Space Research and Development Agency. According to him: “The recent trend of earthquakes/tremors in Nigeria is an indication that seismic activities within the country are increasing and urgent measures need to be adopted to avert devastating consequences of big earthquakes in the most populous black nation in the world. Professor Alexander Lar of the Department of Geology, University of Jos took it up from there. “Geologically, Nigeria is located in a so-called stable Pre-Cambrain–Paleozoic age Basement terrain believed to be seismically safe. However, records have shown that earth tremors (minor earthquakes) have occurred in Nigeria from 1933-2016. An overview of these events would leave us with no other explanation than to question the previous assertion that Nigeria is seismically safe,” he submitted. < ...>"
Brode, M. (2017, April 03). "It appears as though the African nation of Botswana has been struck with the largest earthquake in its history. The 6.8 magnitude fortunately struck in a very remote area." 7 September, 2017. 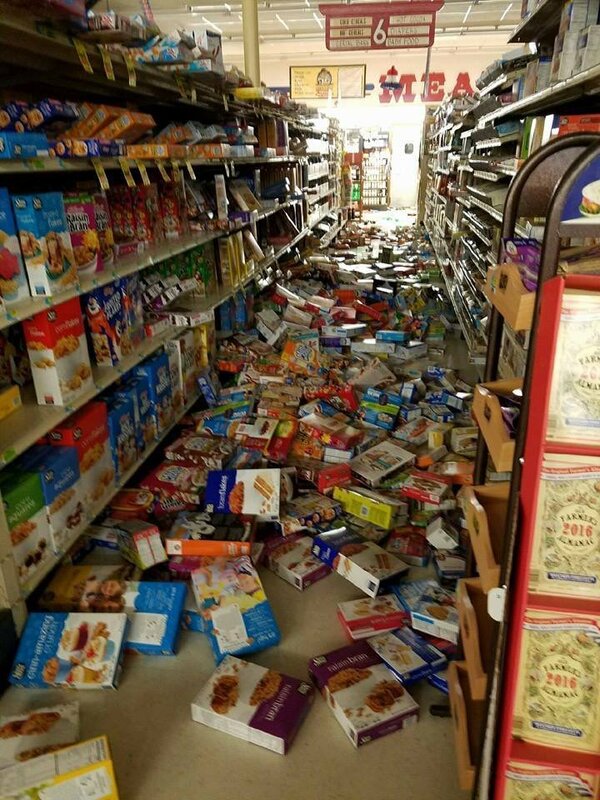 "An earthquake centered in northern Oklahoma Saturday morning that was felt across the Great Plains has been upgraded to the largest in the state's history. According to initial U.S. Geological Survey map, a 5.6 magnitude earthquake was reported just northwest of Pawnee, Oklahoma at 7:02 a.m., equaled the largest earthquake to ever hit the state. On Wednesday, the USGS upgraded the temblor to a 5.8-magnitude, making it the single largest ever in Oklahoma."